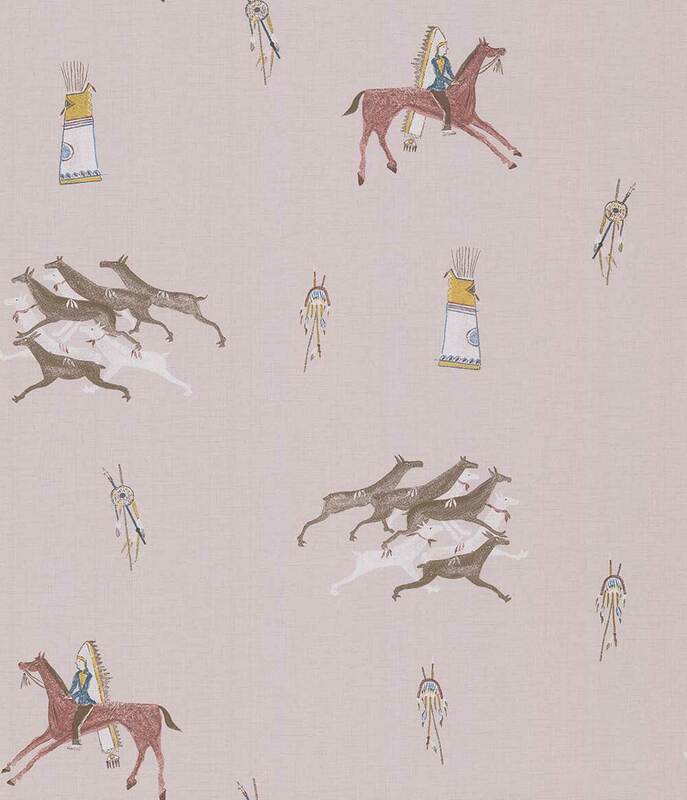 Inspired by Native American art, Apache depicts elaborately head-dressed hunters riding with their pack of dogs and surrounded by decorated quivers and feathered bows and arrows. Full of colourful culture, spinning the intrigue of an imaginative story. Please request a sample for true colour and texture match.